Sure, free drinks and complimentary Wi-Fi rank high on the lists of most desirable hotel perks among travelers, but when it comes to visiting with kids in tow, which hotel amenities are most revered by families? From teddy bear teas to kid concierges, consider these specialized and streamlined services, designed to earn family loyalties, along with kid-friendly clout. Want to know the closest spot where you can get chicken fingers pronto? 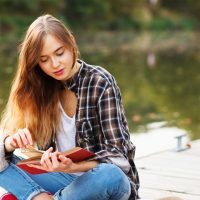 Need recommendations for where a teen girl should shop while visiting the big city? 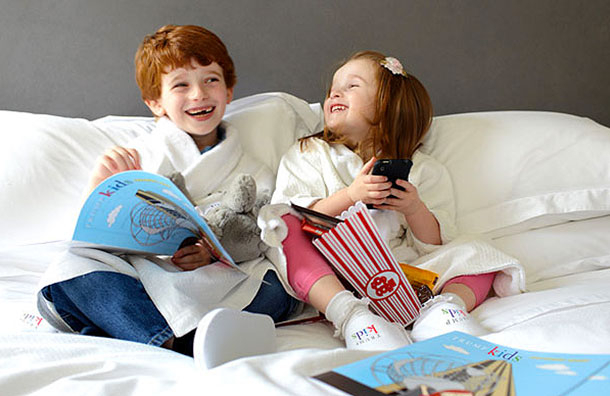 Look no further than a kid-friendly concierge, an increasingly common trend in the hotel market. Select Omni Hotels, including Omni Berkshire Place in New York City and Omni Amelia Island Plantation Resort, offer a Teen Connection program, in which teenagers can get the lowdown on what to do in town. Traveling across the pond? The Ritz-London has a Teen Concierge, as do two Marriott hotels in Sydney: Sydney Harbour Marriott Hotel at Circular Quay and Courtyard Sydney-North Ryde. For younger children, the Boston Marriott Long Wharf's Kids Concierge provides one-on-one lemonade consultations, along with custom maps and family-friendly itineraries for a day of exploring. LEGOLAND Hotel California presents its own staff of six "Junior Concierges," ages 8 to 12, who, on one weekend each year, provide local tips and insider theme park information. Beyond milk and cookies, a number of hotel and resort properties deliver memorable bedtime treats and sweet dreams. At Four Seasons Hotel Chicago, a Bedtime Stories Butler will help lull your little ones to sleep with soothing nighttime tales, from classic to contemporary, while children's program counselors will deliver a Hawaiian story along with a goodnight snack at Four Seasons Hualalai. At TradeWinds Island Grand Resort in St. Petersburg, Fla., guests can schedule a special tuck-in visit with fun-loving resort mascot "Beaker the Pelican," who also delivers a plush animal souvenir. Want to take your stay to the next delicious level? Order up a "house call" by the Hot Chocolate Doc or the Ice Cream Man at The Four Seasons Hotel Chicago; you'll also find an Ice Cream Man (and a Top Secret Ice Cream Club, open on Fridays and Saturdays) at the The Four Seasons Hotel Boston. 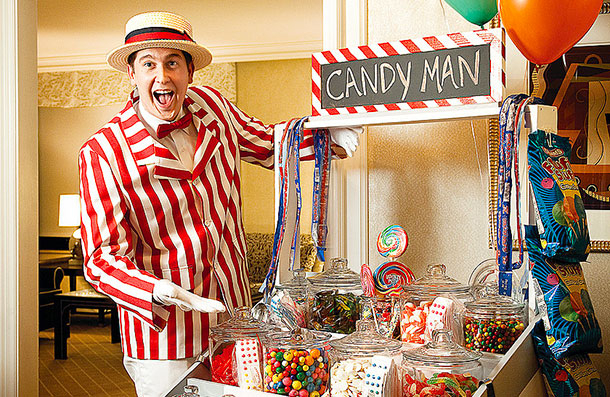 At The Ritz-Carlton Chicago, A Four Seasons Hotel and Four Seasons Hotel New York, The Candy Man delivers chocolate bars, gummy bears and more, via a traveling candy cart. 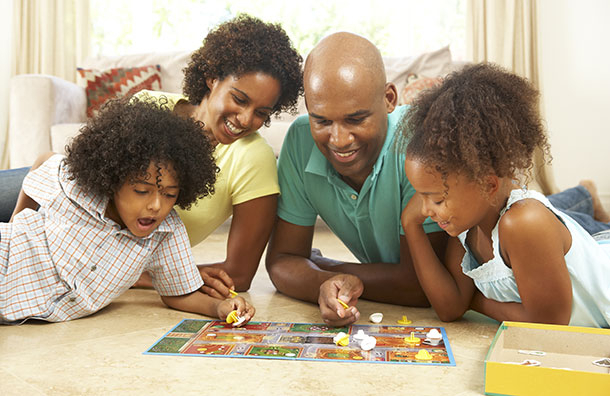 Buy yourself some extra time to unwind before dinner, or keep the kids occupied during your stay when you check out instant entertainment from a hotel or resort-maintained collection. Loews' Kids Closet toy lending program provides guests with Fisher Price toys to borrow during their stay, from Little People airplanes to interactive Smart Cycles. For older kids, Game Boys, DVD players and board games are available. Walt Disney World Resort Vacation Club Villa properties offer DVD libraries (nominal fee for non-members) and activity rooms that families can visit for free. Through the chain's Read It and Return Lending Library program, guests of Country Inn & Suites by Carlson can check out a book and return it later at one of more than 400 locations. Meanwhile, at the upscale Four Seasons Hotel Boston, family visitors can enjoy some old-fashioned fun when they check out kid-friendly indoor and outdoor "Play Packs" containing entertaining activities like snowman-making kits, soccer balls, sidewalk chalk, jump ropes, yo-yos and Frisbees. At Fairmont Copley Plaza, kids who pine for their pooches while on vacation can sign up to walk Catie Copley, the hotel's canine ambassador. For those desiring less hands-on effort, the "Guppy Love" program at Kimpton hotels throughout the U.S. invites guests to borrow a goldfish for the night -- no walking, feeding or clean-up required. Do you ever feel like an octopus, wishing you had even more appendages to assist in negotiating all the gear required to get you and your crew to, from and around your vacation destination? Are you contemplating what to do about transportation when visiting a major theme park, considering that rental strollers are not typically permitted beyond the theme park gates? A number of hotel properties and private companies present a solution to the kid-moving dilemma, delivering a set of wheels directly to you and/or your vacation accommodation. Four Seasons and Loews hotels maintain an inventory of complimentary strollers for use by parents of younger children. Kimpton hotels, in conjunction with the Kimpton Kids program, will order a set of borrowed wheels for you for a fee. 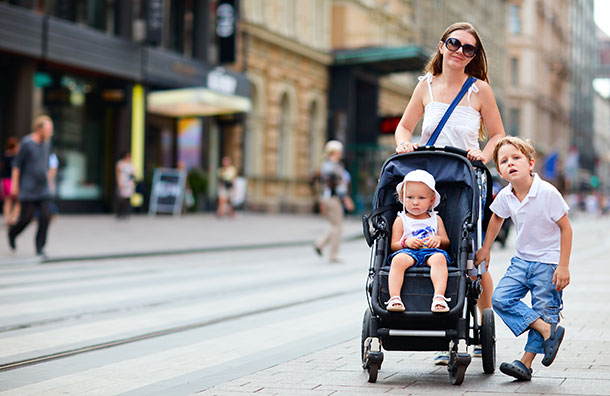 Through a partnership with Babies Travel Lite, Hyatt Resorts offer parents the ability to purchase umbrella strollers in advance, for direct hotel room delivery. From scavenger hunts and S'mores-roasting to poolside bingo and spirited sing-a-longs, free and low-cost activities for the kids rank among the top value-added hotel offerings for traveling families. In New Orleans, The Roosevelt New Orleans and Royal Sonesta Hotel New Orleans offer Teddy Bear Teas, with special visits from Santa, Mrs. Claus and even Rudolph! 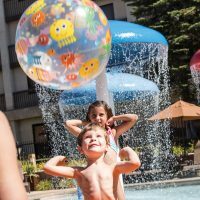 At Marriott's Cypress Harbour and Marriott's Harbour Lake in Orlando, kids enjoy a wide array of planned daily activities, in addition to complimentary use of extensive amenities, from themed pools to playgrounds. At Disney's Wilderness Lodge, kids can enjoy complimentary cookie decorating along with bingo, trivia contests, pool games and prizes. For families on a more limited budget, Walt Disney World Value category properties deliver great deals on lodging along with free activities poolside, from movie screenings to hula-hoop contests. If you're looking to keep the kids occupied for an extended period of time, resort kids' clubs can provide worry-free entertainment along with value. Luxury leader Four Seasons Resorts offers complimentary care and all-day programming for children through its Kids for All Seasons Program, while a number of independent properties join in on the free-flowing, free-of-charge fun. 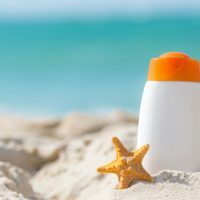 Among the front runners are Mountain View Grand Resort and Spa (ages 4 to 12), Naples Beach Hotel and Golf Club (ages 5 to 12), The Sagamore (ages 4 to 12; seasonal) and Winnetu Oceanside Resort (ages 3 to 12; seasonal). Consider it a welcome to the property for the kids -- or a welcome dose of peace and quiet for travel-weary parents -- whatever you call it, everyone in your crew will likely agree that hotel welcome gifts are a pleasant perk for families. Upon arrival, kids visiting Kimpton properties receive a complimentary welcome gift like finger puppets, yo-yos, crayons or playing cards, while Loews Hotels and Resorts greet younger guests with travel-sized Fisher-Price brand toys to play with and take home. Four Seasons Hotels and Resorts entertain young visitors with scavenger hunts and age-appropriate welcome amenities, many of which are customized to property locations, from a stuffed owl and a S'mores snack kit at Four Seasons Resort Scottsdale, to a pair of antlers at Four Seasons Resort Jackson Hole. More personalized fun awaits in the bathroom, where the name of each visiting child is spelled out in alphabet bath sponges. Trump Hotels spoil young visitors with a stylish "Trump Kids" bag of goodies like a T-shirt, crayons, a coloring book and a stuffed animal. Young "apprentices" even receive their own personalized Trump Kids "Biz" cards. At Ritz-Carlton properties, "Very Important Kids" are presented with directions for a prize-bearing scavenger hunt and the opportunity to "check-in" at a special pint-sized desk. Fairmont properties in North America dote on babies and toddlers with bubble bath, lotion, shampoo and a sweet stuffed animal. And teens aren't left out at Loews -- upon check-in at many locations, 'tween and teen guests receive cards for downloadable music singles. Whether the goal is to stave off a toddler meltdown or to take the mealtime pressure off parents already drained from a day of touring, there's no better way to banish the low blood sugar blues and stretch a family travel budget than an instant supply of free and familiar food. Hampton Hotels offer guests a complimentary hot breakfast buffet along with optional "On the Run" Breakfast Bags, (available Monday through Friday). Members of the Holiday Inn Express chain present a hot buffet, complete with an automatic pancake maker. From Monday through Thursday, Homewood Suites by Hilton locations expand their free offerings from complimentary breakfast to include a nighttime "Welcome Home" reception with dinner and free beverages. 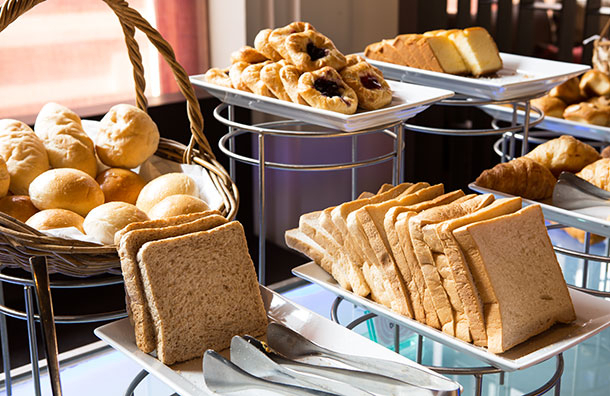 Embassy Suites provides a complimentary cooked-to-order breakfast, including custom omelets, along with a nightly "Manager's Reception" with free light appetizers and drinks. Looking for something a bit more adventurous? Check into the Four Seasons Hotel Boston, where on Saturday nights, kids are invited to join staff in a free "Raid the Fridge" late-night, snack-finding mission. If you're planning an extended stay, you might appreciate the complimentary grocery-shopping and provisioning services offered by a number of chains, which feature accommodations with cooking facilities, like Residence Inn and Homewood Suites. In the luxury category, Trump hotels feature a personal "Attache" who will shop and stock your kitchen for you. Though standard rooms lack cooking facilities, the Walt Disney World Swan and Walt Disney World Dolphin resorts feature a novel service called "Personal Pantry," delivering value-priced beverages and snacks directly to your in-room refrigerator. 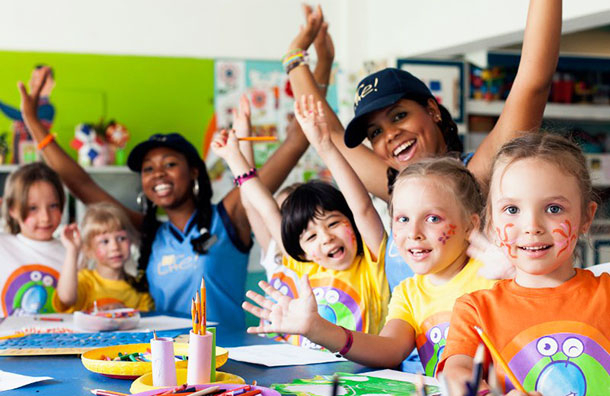 Sure, supervised group programs available at hotel kids' clubs are a great option for families with preschool and school-age children, but what if you're traveling with toddlers or kids whose daytime karma gets disrupted when the daily bedtime routine gets even slightly off-kilter? Most hotel and resort concierge desks maintain a list of agency-affiliated and independent local sitters who will watch your children in your hotel guestroom or vacation accommodation. Some hotel employees may even "moonlight" as sitters unofficially. Be sure to inquire in advance about travel fees, minimum bookings, and sitter and agency qualifications. Offering services in the Orlando area, Tampa, Vero Beach and California, Kids Nite Out is a well-established and often recommended provider of in-room sitting services. For those visiting Disneyland, Fullerton Child Care Agency is a reliable option. As any parent who's spent a sleepless night on vacation can attest, trying to comfort a baby in an unfamiliar environment can be a particularly tricky travel challenge. At The Ritz-Carlton Cancun, moms and dads booking an "Itzy Bitzy Room" can rest easy and rock baby to bedtime bliss, thanks to a special suite outfitted with thoughtful baby-ready equipment, from a rocking chair to a sleep-friendly phone designed to light up instead of ring. Through a "Baby Attache" program, the Trump Collection's seven luxury hotels set parents minds at ease by stocking their room in advance with everything they need for the baby, from a crib, diapers and a baby monitor to a rocking chair and a stylish Trump logo bib. 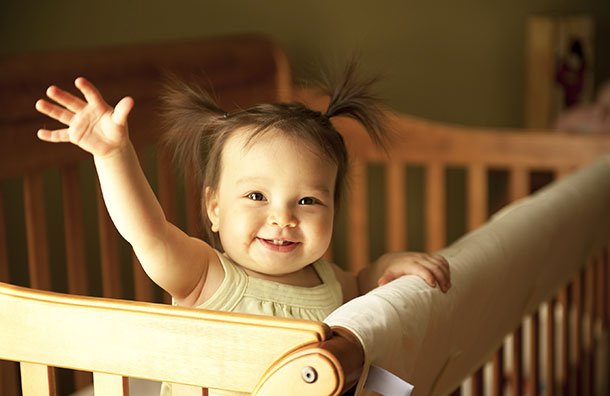 Four Seasons properties provide star treatment to their youngest guests, too, with comfortably outfitted cribs and a range of baby care essentials, from shampoo and baby wipes to step stools, monitors and baby bathtubs. Upon request, some locations can even furnish a toddler bed. 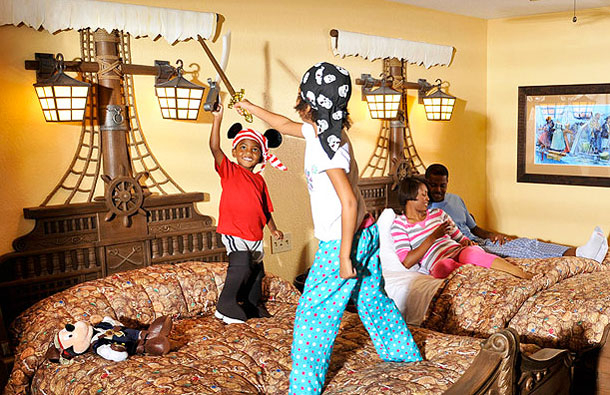 Many hotels offer themed rooms your kids will love so much, they (and even you) may never want to leave! At Loews Portofino Bay Hotel, you'll find "Despicable Me" Minion Suites with missile-shaped beds (inside what looks like a private vault), separate from another room for parents, and at Nickelodeon Suites Resort, there are Dora the Explorer and Spongebob rooms. At The Plaza Hotel in New York City, there's a darling pink Eloise Suite, complete with a pink chandelier, neon sign and Eloise DVD's and books. And, of course, you'll find a plethora of themed rooms and suites at Disney World hotels, as well as pirate-themed accommodations at the LEGOLAND California Hotel.